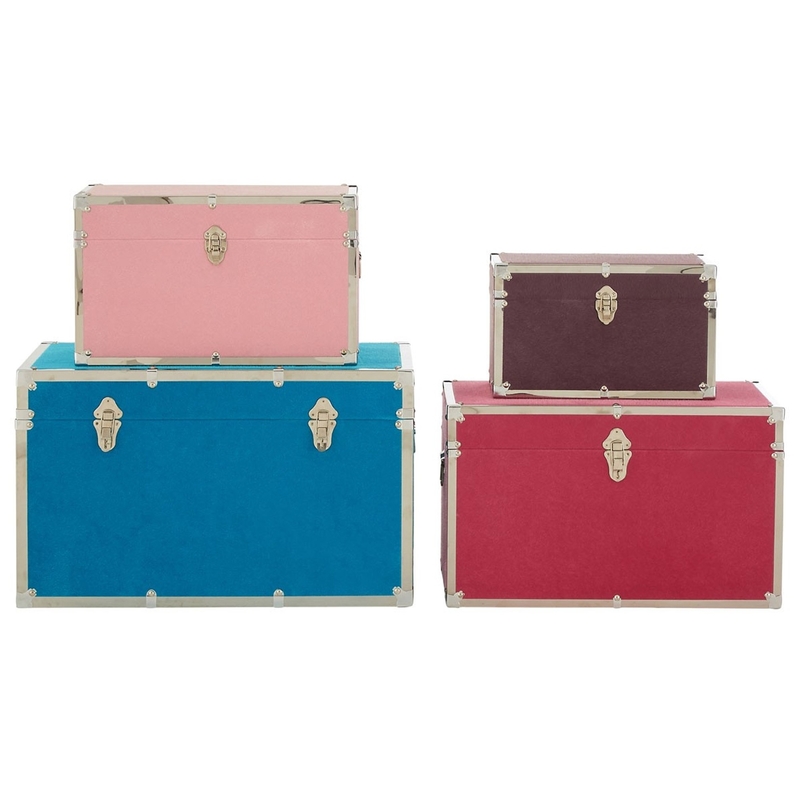 Make your home feel a lot more colourful and furnished by introducing this magnificent Set Of 4 Multi-Coloured Trunks. They have a gorgeous design which is very simplistic, given a homely and modern touch. These trunks are created from Particle Board and PVC, given a variation of sizes and colours to make them stand out even more.